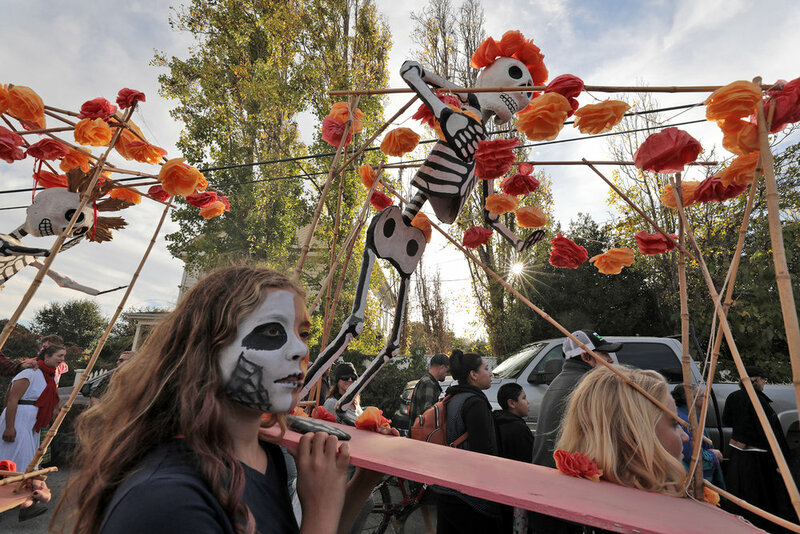 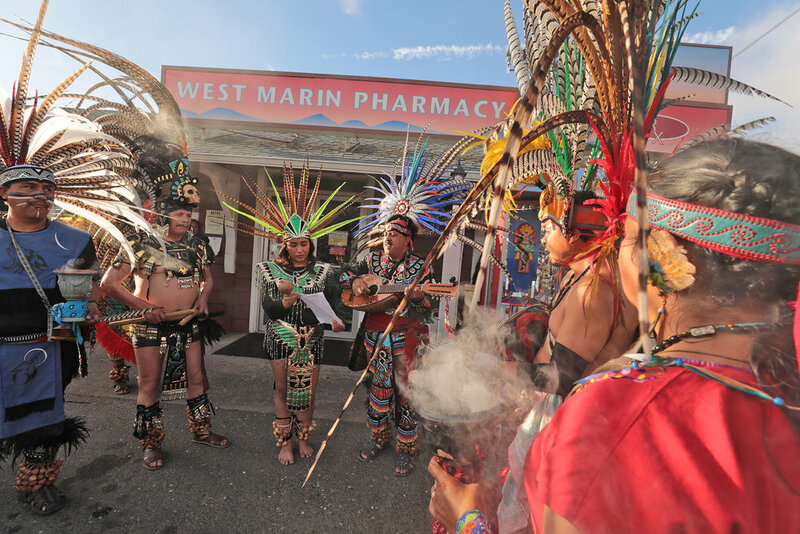 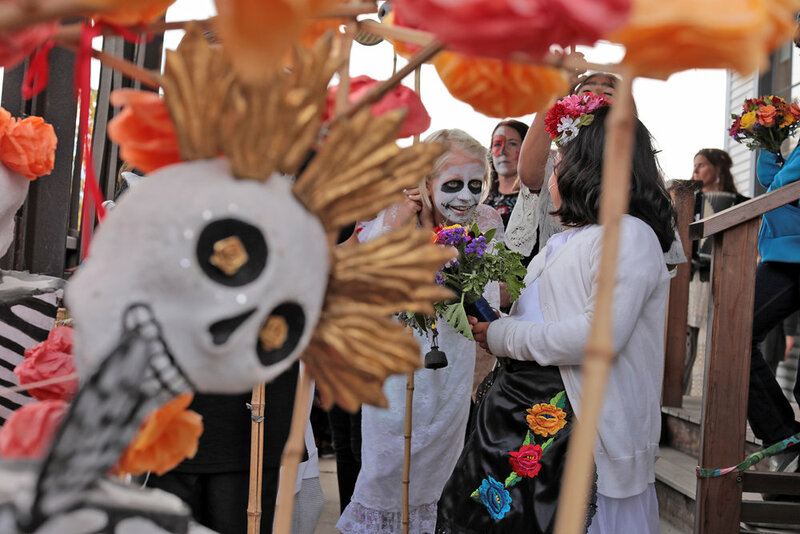 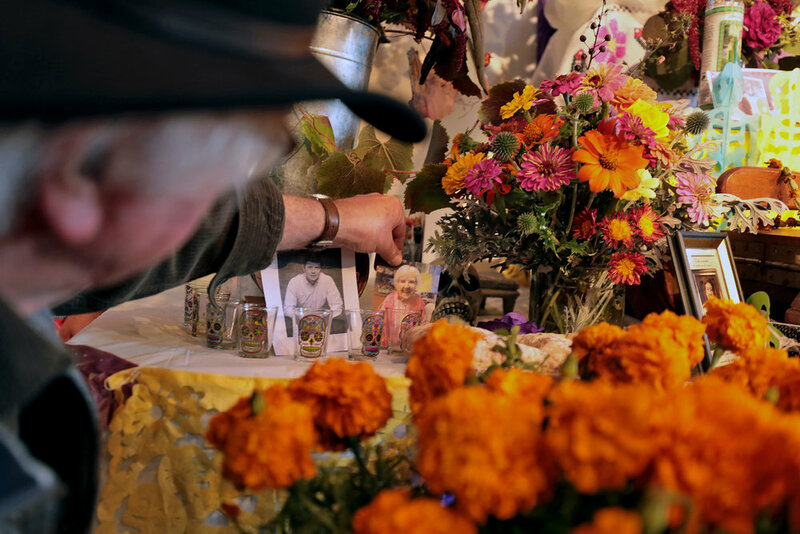 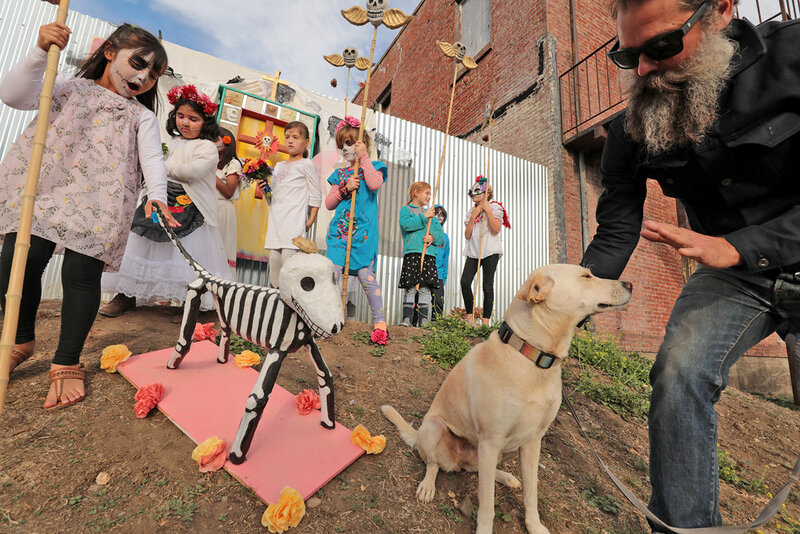 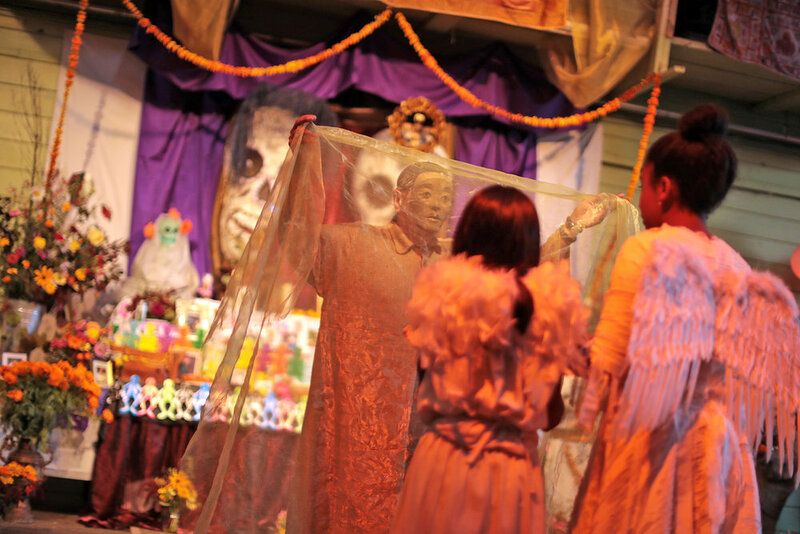 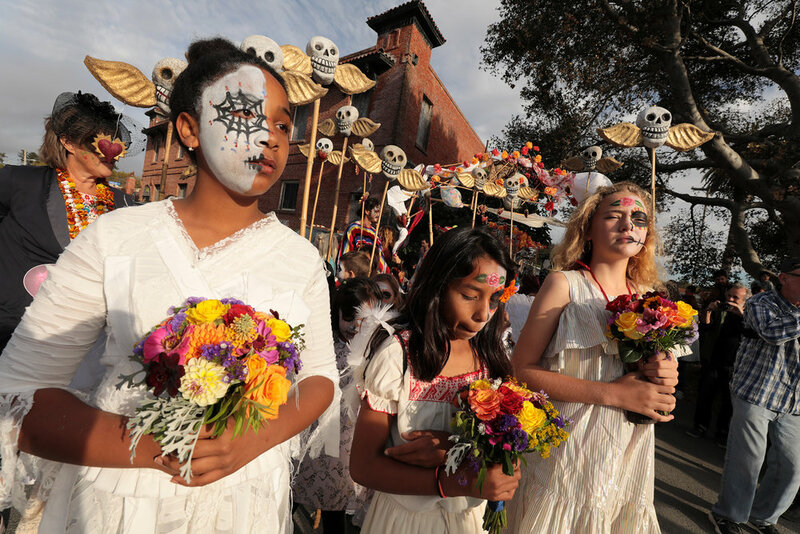 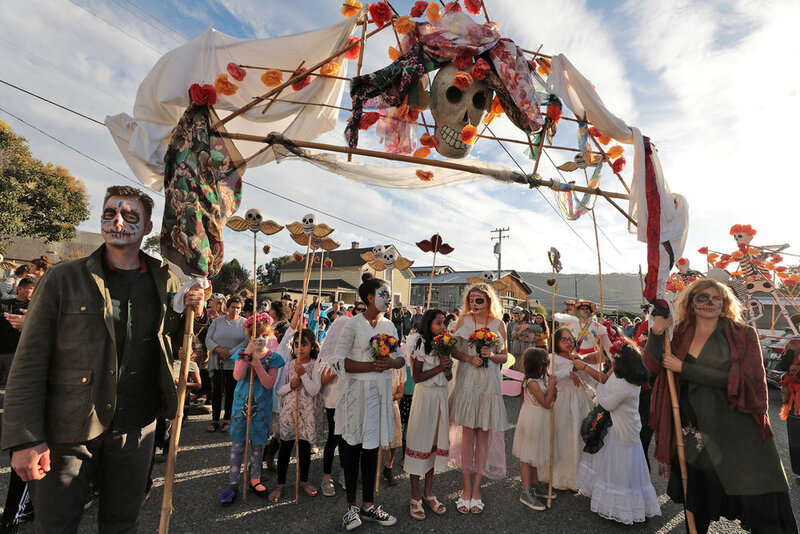 Day of the Dead procession in Point Reyes, California on October 28 2018, a coming together of two communities that, according to locals, do not often overlap. 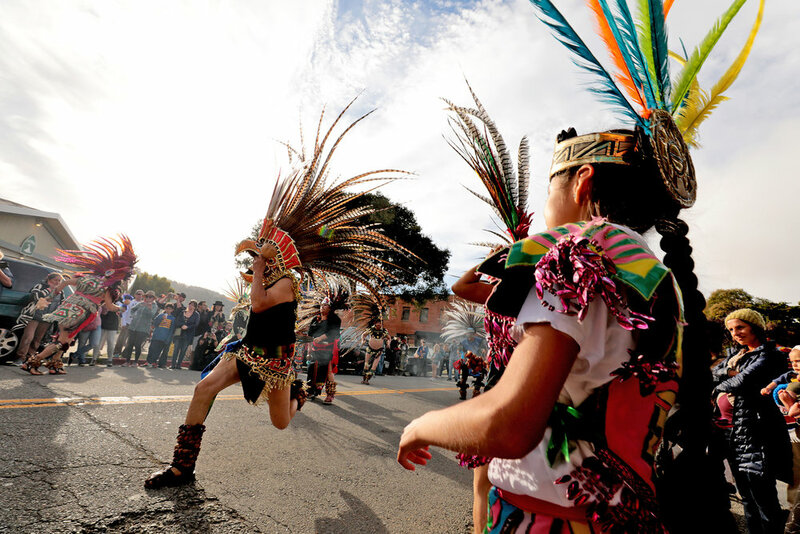 This procession featuring Aztec dancers, local choirs singing in Spanish and artwork by a local artist marks one of the first times this communal event has been as large or as unifying. 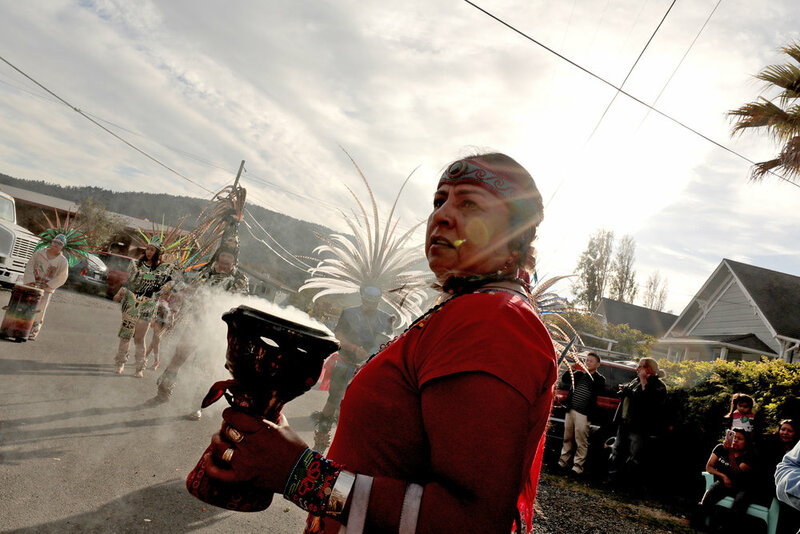 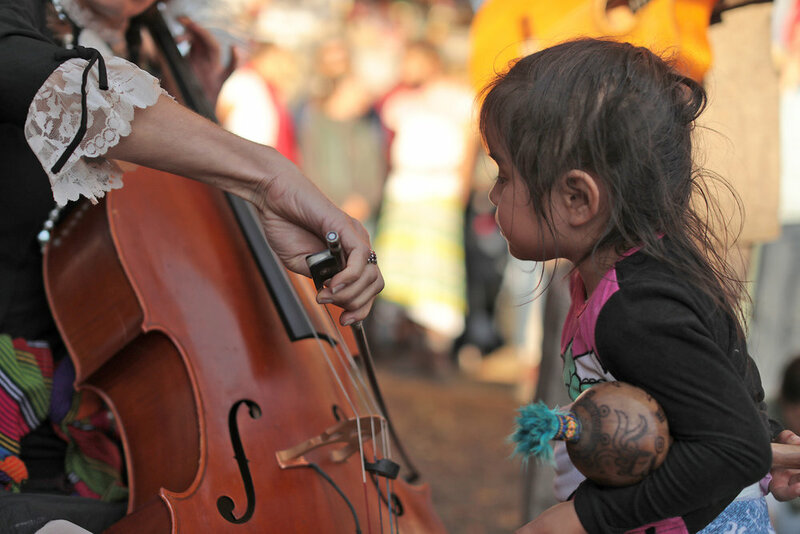 Click here to see this photo essay featured in Nowhere Magazine.